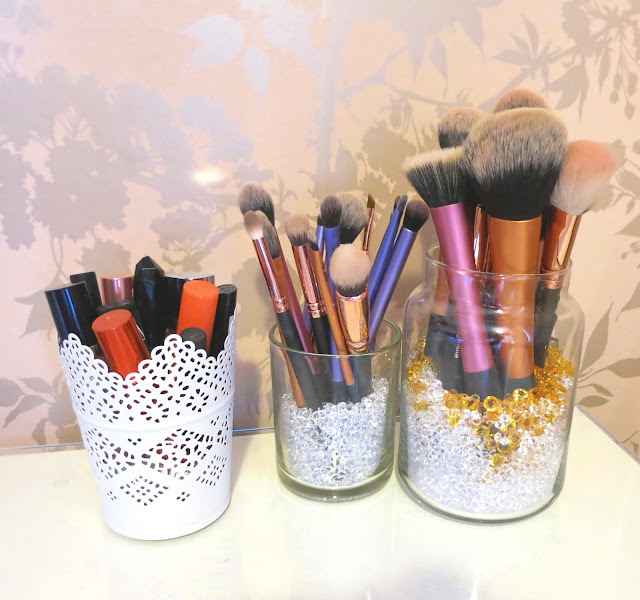 I hardly ever stray from the beauty posts but today I thought I'd do a quick little DIY post on these cute little brush holders I made. It's so simple and easy I just had to share this. We all love candles right? So you're bound do have a few empty jars hanging around. 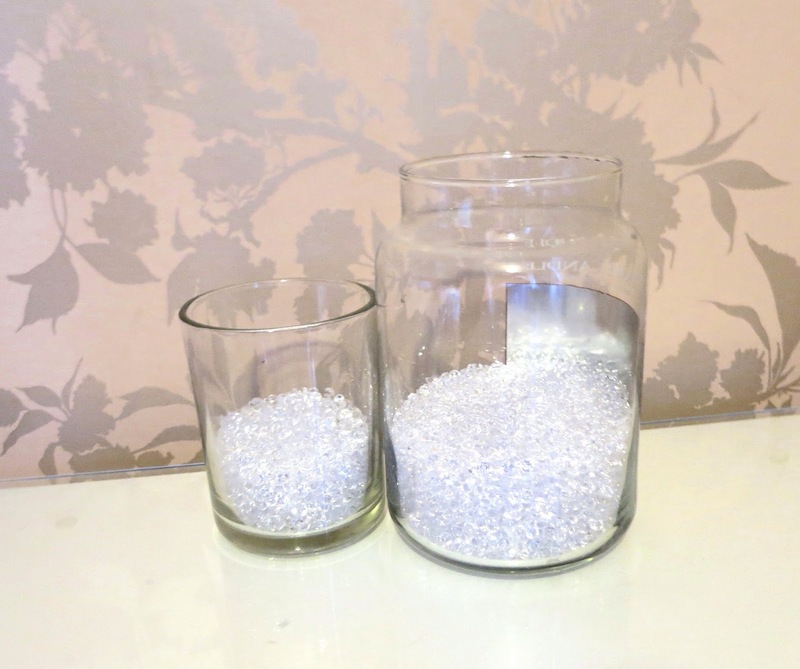 instead of throwing them out, recycle them and use them to glam up your dressing table. To get the wax out, I will usually wait until all of the wax is burned and still in liquid form, I then pour it out and clean the jar with a bit of washing up liquid. This works very effectively rather than leaving the wax to dry and trying to scrape it out of the jar. Apparently freezing the candle works too, but I haven't tried this, it seems a bit time consuming. Once you've got yourself a nice clean empty jar. It's time to add your little diamonds. I got mine on Amazon for around £1.99 a bag, what a bargain! You can find so many cute colours and probably so many different types to, but I'm going to use these cute little diamond like ones. I pour enough to give the brushes a sturdy base and also enough for the bristles to be fully out of the jar. 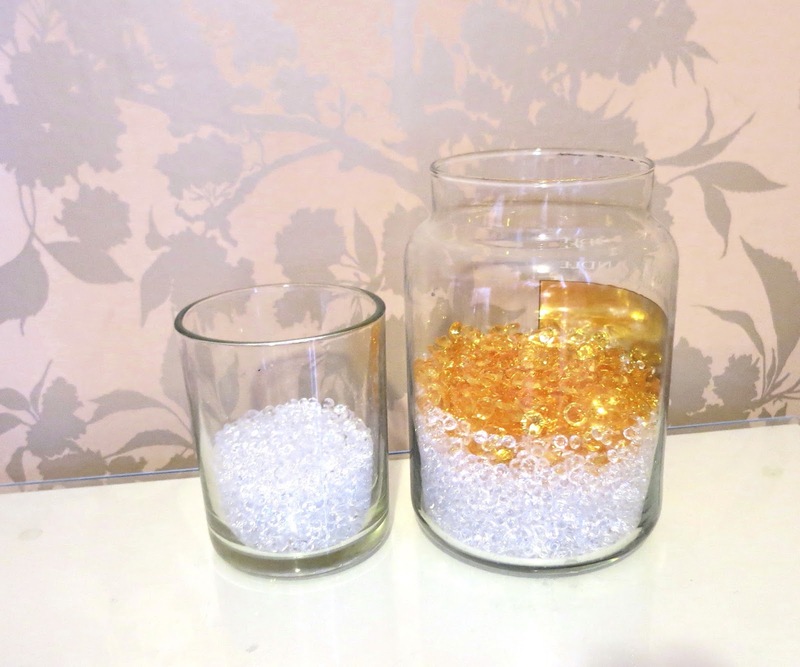 You can explore with different combinations in each jar, layering and ombre effects if you really wanted to go all out. 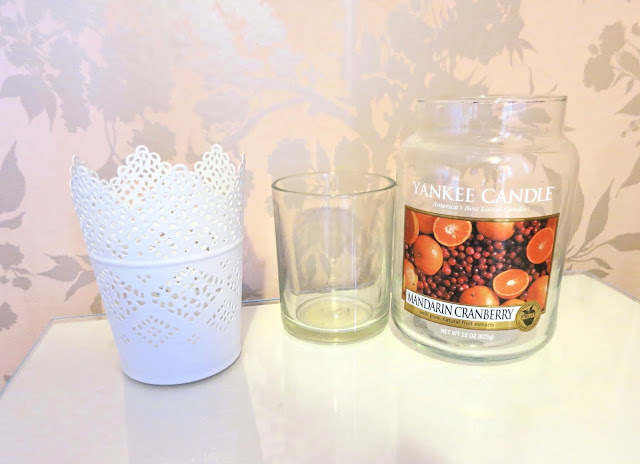 This is such an easy and cheap way to add a little extra to your holders, I'm sure you could use this little idea in so many other home DIY's also. It's as simple as that, I'd love to know what else you beauties add the DIY touch too? This looks like a really cute DIY, I'll have to try this when my candles are all burnt out!